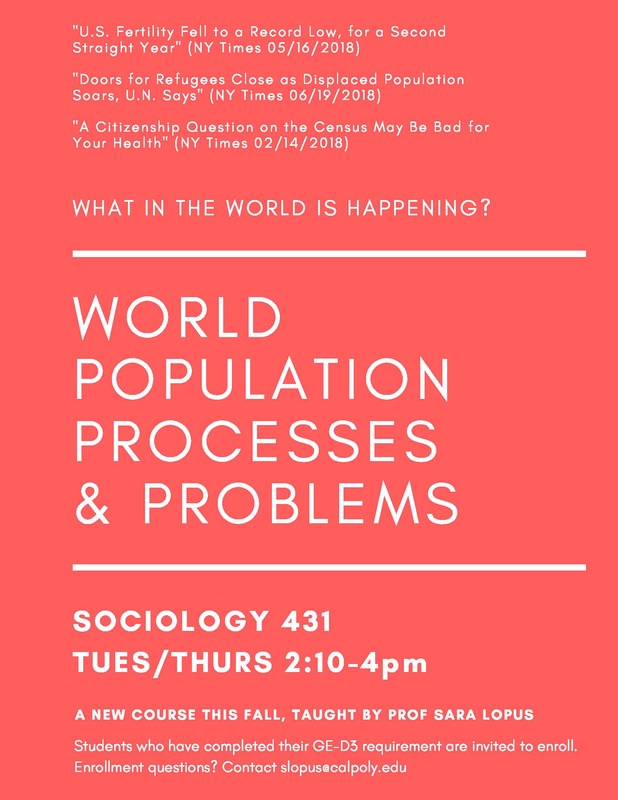 The Social Science Department is offering a new course on "World Population Processes & Problems" beginning fall 2018. The course will be Tuesday/Thursday from 2:10-4 p.m. Students who have completed their GE-D3 requirement are invited to enroll. For questions about enrollment, contact slopus@calpoly.edu.